Out of the box, Apache Tika will attempt to start with all available Detectors and Parsers, running with sensible defaults. For most users, this default configuration will work well. 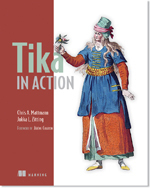 This page gives you information on how to configure the various components of Apache Tika, such as Parsers and Detectors, if you need fine-grained control over ordering, exclusions and the like. Through the Tika Config xml, it is possible to have a high degree of control over which parsers are or aren't used, in what order of preferences etc. It is also possible to override just certain parts, to (for example) have "default except for PDF". Currently, it is only possible to have a single parser run against a document. There is on-going discussion around fallback parsers and combining the output of multiple parsers running on a document, but none of these are available yet. To override some parser certain default behaviours, include the DefaultParser in your configuration, with excludes, then add other parser definitions in. To prevent the DefaultParser (with its auto-discovery) being used, simply omit it from your config, and list all other parsers you want instead. To configure things in code, the key classes to use to build up your own custom parser heirarchy are org.apache.tika.parser.DefaultParser, org.apache.tika.parser.CompositeParser and org.apache.tika.parser.ParserDecorator. Through the Tika Config xml, it is possible to have a high degree of control over which detectors are or aren't used, in what order of preferences etc. It is also possible to override just certain parts, to (for example) have "default except for no POIFS Container Detction". To override some detector certain default behaviours, include the DefaultDetector , with any detector-exclude entries you need, in your configuration, then add other detectors definitions in. To prevent the DefaultParser (with its auto-discovery) being used, simply omit it from your config, and list all other detectors you want instead. In code, the key classes to use to build up your own custom detector heirarchy are org.apache.tika.detect.DefaultDetector and org.apache.tika.detect.CompositeDetector. At this time, there is no unified way to configure language identifiers. While the work on that is ongoing, for now you will need to review the Tika Javadocs to see how individual identifiers are configured. At this time, there is no unified way to configure Translators. While the work on that is ongoing, for now you will need to review the Tika Javadocs to see how individual Translators are configured. Tika has a number of service provider types such as parsers, detectors, and translators. The org.apache.tika.config.ServiceLoader class provides a registry of each type of provider. This allows Tika to create implementations such as org.apache.tika.parser.DefaultParser, org.apache.tika.language.translate.DefaultTranslator, and org.apache.tika.detect.DefaultDetector that can match the appropriate provider to an incoming piece of content. The ServiceLoader's registry can be populated either statically or dynamically. Static loading is the default which requires no configuration. This configuration options is used in Tika deployments where the Tika JAR files reside together in the same classloader hierarchy. The services provides are loaded from provider configuration files located within the tika-parsers JAR file at META-INF/services. IGNORE - (Default) Do nothing when providers fail to initialize. WARN - Log a warning when providers fail to initialize. THROW - Throw an exception when providers fail to initialize. However you call Tika, the System Property of tika.config is checked first, and the Environment Variable of TIKA_CONFIG is tried next. Setting one of those will cause Tika to use your given Tika Config XML file. If you are calling Tika from your own code, then you can pass in the location of your Tika Config XML file when you construct your TikaConfig instance. From that, you can fetch your configured parser, detectors etc.